Papillon Agricultural Company recently updated graphic branding for Dairyman’s Edge ®, a line of rumen enhancement products consisting of live yeast, yeast culture, live bacterial cultures and exogenous enzymes, formulated to optimize rumen function and gastrointestinal efficiency in high-producing dairy cows. The original Dairyman’s Edge shield has evolved into a series of highly stylized, color-coded icons for each product formulation, designed for use across a variety of print and digital applications. The new look, designed by LP&M Advertising in Syracuse, NY, can be seen on current Dairyman’s Edge PRO advertising, and online at Papillon-Ag.com. Founded in 1983, Papillon Agricultural Company develops and produces premium nutritional products for dairy consultants, feed suppliers and dairy producers with the goal of maximizing feed efficiency at the farm level. 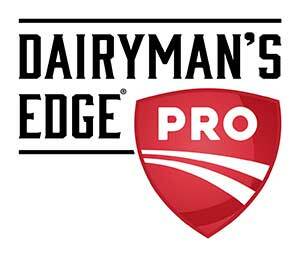 In addition to Dairyman’s Edge and Dairyman’s Edge PRO, signature products include BaciFlex® Clostridial Defense, Gemini Bypass Protein, Papillon Performance Proteins and MIN-AD® Mineral Supplement. For more information, call (800) 888-5688 or visit Papillon-Ag.com.